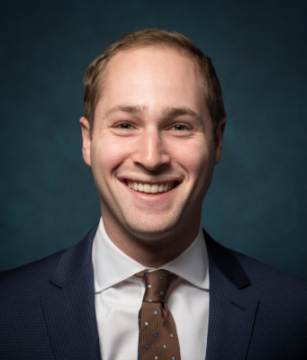 Noam Safier ‘17YC began his career at Yeshiva University this past July as the Executive Communications Manager in the Office of the President. A psychology major, Noam was very involved in student life and served as student council president, a student co-chair of the IAmYU campaign that raised over $6 million for the university and the lead organizer of TEDxYeshivaUniversity. Upon graduating in January of 2017, Noam interned for the Permanent Mission of Israel to the United Nations where he participated in various high-level meetings and wrote speeches for the delegates and ambassador. 1. What profession did you think you would hold when you were a YU undergrad and deciding on a major? Although I majored in psychology, I never intended on pursuing it after undergrad. It was a fascinating topic that I greatly enjoyed learning but I couldn’t imagine it as a career. The profession I thought I would hold depends on at what point in college I was asked. Over the years I went from wanting to be a not-for-profit professional to an IO psychologist to a management consultant and then finally to communications. 2. What is it like going directly from being a student at YU to a professional at YU? It feels like slipping on an old shoe with a new sole insert; comfortable and familiar, yet slightly different. The people and institution are the same, the values and mission are still present in everything we do, but I’m now seeing it from a different angle. Additionally, there are so many wonderful people working throughout the university that I never had the opportunity to meet until we became colleagues. 3. What aspect of your job with YU do you most enjoy? I often have an opportunity to sit courtside when big decisions are made and listen to the tremendous amount of thought and consideration that goes into them. The job has certainly given me a far greater appreciation for the magnitude of YU’s role in the community and significance of the goal we are trying to reach. 4. What excites you most about working in the President’s Office in this new administration? A new administration is an exciting opportunity to look at the university with fresh eyes and chart out a new path for its success. I’m happy to have gotten in on the ground floor as Dr. Berman shapes the future vision of YU. There is so much incredible potential for the school and Dr. Berman is deeply committed to unlocking it. It’s a pleasure to play a role in helping him do so. They may be surprised to learn that I’m a part of the 15% of adults that have not had their wisdom teeth removed and it is a great source of pride for me.